Dry ice is made from carbon dioxide gas. The carbon dioxide gas is pressurized and cooled to form liquid CO2. 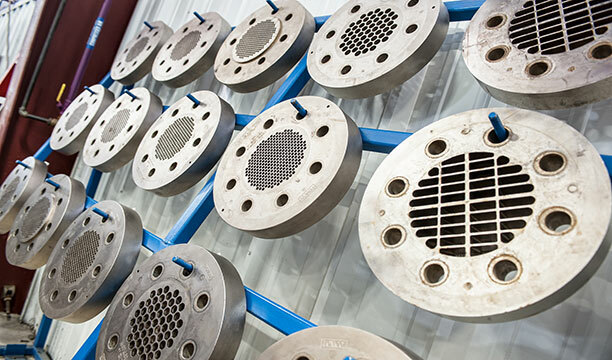 The liquid carbon dioxide is injected into either a block press or pelletizer. 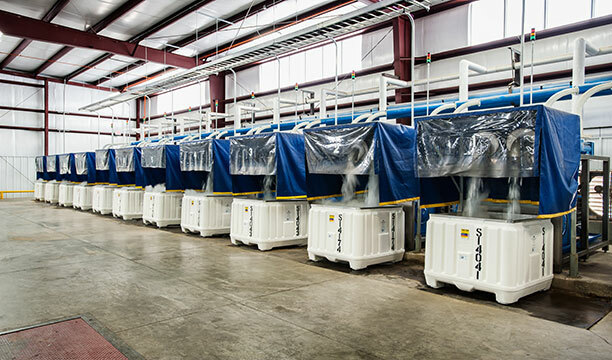 These dry ice production machines have chambers in which, once released to atmospheric pressure, the liquid carbon dioxide converts to dry ice snow and carbon dioxide gas. The carbon dioxide gas is recovered and converted back into liquid carbon dioxide. 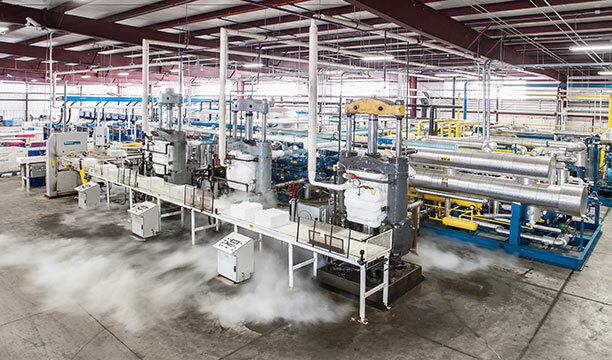 Block press line producing soid block dry ice. Pelletizers with shrouds to maintain quality. Dies for pellet production.